Sitka Tribe of Alaska has advocated for conservative management of herring to the BOF for more than 20 years, submitting proposals to the BOF since 2002. At this year’s BOF meeting, we provided notice that if they didn’t accept our proposals to protect the herring, our administrative options were at an end, since nothing has changed in that time period (2002-2018). 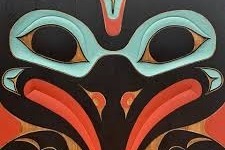 Sitka Tribe of Alaska has retained a law firm that has attorneys that specialize in subsistence issues to represent us. STA has allocated $40,000 to this legal effort. We ask you to stand with us and contribute what you might be able to donate for that lawsuit. We do not know what the costs will be for the lawsuit, but are prepared to take this to the Supreme Court of Alaska if necessary, as our concerns for the herring continue to grow, not lessen with the horrible subsistence harvests we have seen year after year and the increased take of the herring with the commercial harvest. We know that many throughout Alaska share our deep concern over the serious situation we are in with our all-important herring. Thank you for the support you have shown and given, and we thank you on your ability to support STA in our efforts.